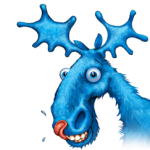 The Blue Moose Graphics Company were commissioned by Santander to produce some very bespoke printed cubes for their TV ad in Shrewsbury, filmed in 2012. The project consisted of digitally printed graphics wrap mounted on to foamex then fixed to bespoke wooden boxes ranging in size from six inches square all the way up to five feet square, the latter of which were filled with concrete to make them permanent fixtures. Santander UK plc is one of the UK’s leading personal financial services companies and one of the largest providers of mortgages and savings in the UK. The TV ad, which was first broadcast on 23 September, sees the brand visit the Shropshire town of Shrewsbury, talking to local people about the value credentials of its products. 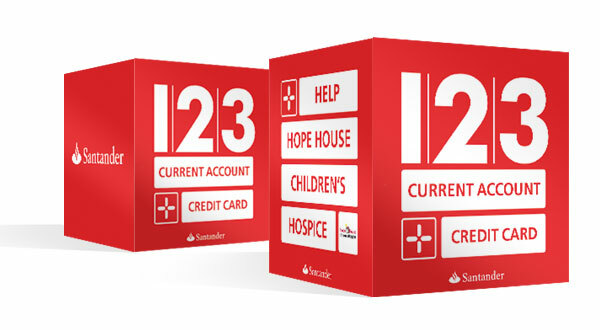 Santander branch staff are shown using Santander’s ‘Cashback Calculator’ digital tool to reveals how much they could potentially save in a year with that brand’s 123 Current Account and 123 Credit Card. A giant “totaliser” in the town centre is then shown to hit the £1m mark, the total amount the town’s population could save by banking with Santander. As a result of reaching £1m, the bank donated £25,000 to a local charity. Keith Moor, UK marketing director at Santander, told Marketing the ad is part of a two-year plan to bring the brand closer to “real people” and re-establish trust following the banking crisis. “We’re moving to a communications strategy that’s about real value every day. Banks have a very poor reputation, so we want to be more human and be closer to real people,” he added.